Scott Homes (est. 1980 by Mr. Noel Scott) has a long and proven history in the building of fine quality properties. In order to protect our reputation detailed measures are taken to ensure that all our homes are built to a high standard. To meet these standards we employ proven and traditional methods of construction incorporating where appropriate the very latest advances in materials and techniques. We aim to provide you with a home of fine appearance, maximum comfort and ease of maintenance. All our homes are registered with CRL providing 10 year warranty. At Scott Homes we are well aware of the cost of heating your home and have extensively researched methods of achiveing energy efficient homes while using traditional bricks & mortar construction. We have recently achieved Zero carbon certificates for 2 homes and low carbon certificates for 2 homes. * Heating only based on standard occupancy, calculated using government approved SAP software. Oil cost 60p per litre. Traditional Constructed Zero Carbon Home. 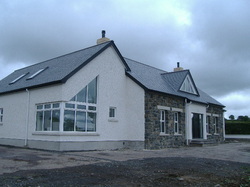 A Zero Carbon home built for a family near Ballymoney. 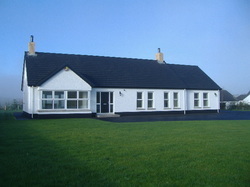 Specification for this dwelling included. Traditional construction with extra wide cavity walls. Additional roof and floor insulation. All windows argon filled triple glazed. Photo voltaic solar panels to produce electricity. Thermodynamic solar panel for domestic hot water. Traditional Constructed Passive House & Zero Carbon Home. Velux flat plate solar panels for domestic hot water. 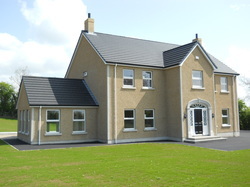 A low or zero carbon home will be highly insulated all round (floors, roof & external walls). It will also be very airtight to reduce heat loss due to draughts. Low carbon homes will have a highly efficient condensing boiler for space heating (up to 97% efficient) a solar panel for domestic hot water and a heat recovery ventilation system. All lighting will be low energy. Zero carbon homes will have a wood or wood pellet stove for space heating or alternatively an air or ground source heat pump, solar panels for domestic hot water, a heat recovery ventilation system. It will also have some form of generating electricity. This will be Photo voltaic (PV) solar panel or a wind generator. Why build a low or zero carbon home. There are many benefits from building your home low or zero carbon. A low carbon home has very low running costs (see example above). A zero carbon home with its use of renewable technologies can almost be self sufficient. 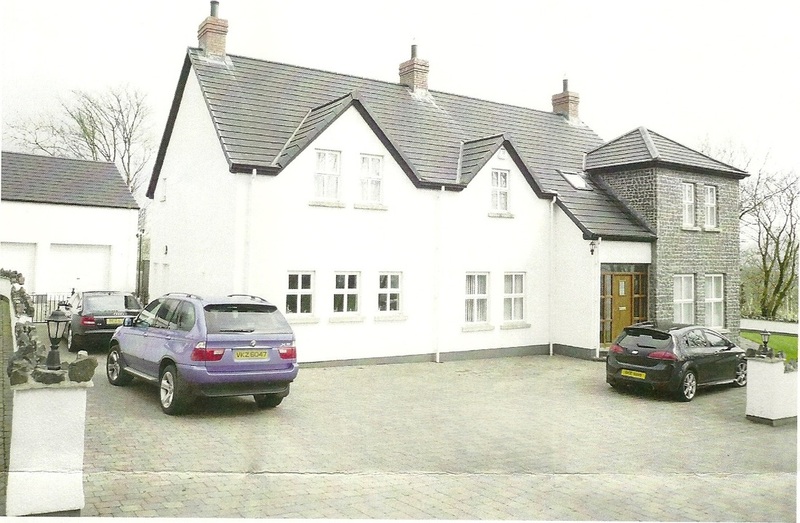 Low and zero carbon homes can be built using traditional brick or block walls. 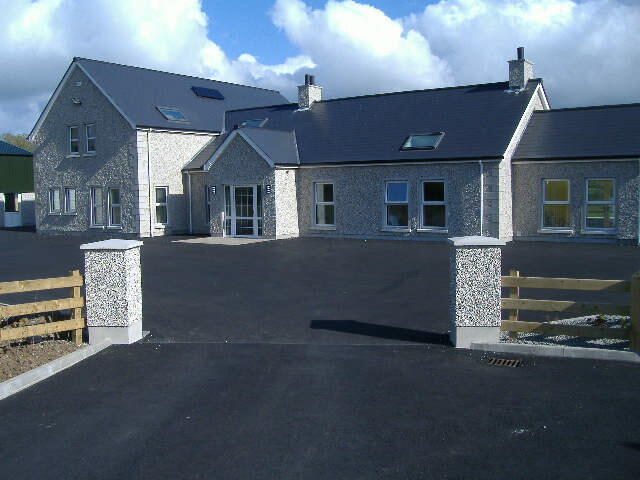 Low and zero carbon homes are very comfortable due to lack of draughts and a permanent fresh air ventilation system. Protection from the continuing spiraling cost of fuel. Planning to build a new home. Bring us your plans for a competitive tender. Want to build more energy efficient. We can advise you from our own experience.